I always coach my authors to build their platform with themselves as the product and not the individual book. 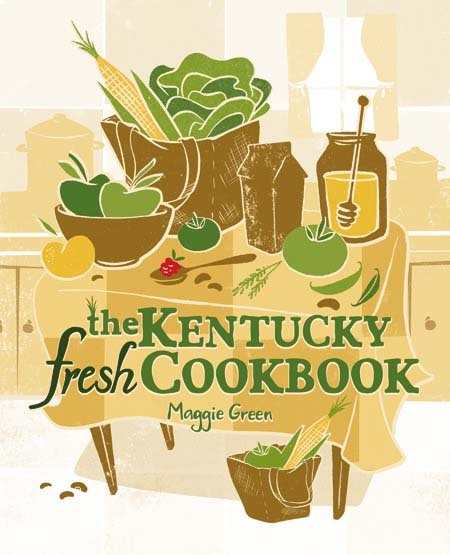 For example, one of the things I liked best about working on Maggie’s cookbook, The Kentucky Fresh Cookbook, is that she had a personal brand first as a nutritionist and as the Green Apron Company. It made my job and her’s much easier to be able to springboard off that. What kinds of marketing and publicity support should a cookbook author expect from their publisher? This is going to vary pretty widely from press to press, but I can definitely speak from the stand point of a University Press. I’ve loved working at University Presses because they really are a caring bunch. You’ll be working with a smaller staff—unless you’re published at one of the big, big presses—which generally means more communication amongst the marketing staff and interdepartmentally. Before your book is even announced in a season, the marketing and publicity staff are working with your editor and the production team to come up with the best “package” for your book. As a quick aside, I’ll say that this is one area where authors who have a publisher benefit in ways that self-published authors have a tougher time. A publisher will take the time to make sure they’re getting the right title—unique, with great keywords that will make it easy to find in a search—the right cover image and cover design—something that pops on a bookstore and a digital bookshelf—the right endorsements—from other experts and authors—and the right copy—a description that will convert to sales from customers discovering your book. Once your book is announced, that is, the data is out to vendors and your publisher is going public with the news that new books are coming soon, a publisher will start calling on media and other PR contacts to preview the forthcoming titles. To keep using The Kentucky Fresh Cookbook as an example, the PR team took our list of titles to our contacts at various media outlets, including national contacts in New York and Washington D.C., and local contacts around the state. This allows editors to begin planning their editorial calendars and to begin making mental lists about the interesting and important projects that will be hitting their desks. It’s also how the PR team compiles their list of requests and, hopefully, commitments to reviews or coverage. This is the biggest way that I reinforce my relationships with editors, so I try to be honest and forthright about whether or not I think a book is a good fit for their outlet. Realistically, not every book is going to be attractive to the New York Times. That was my long-winded way of saying it’s all about the pitch. You’ll probably experience some radio silence after your publicist makes their initial PR calls as they shift their attention back to the current season in which new books are rolling off the press, and that’s OK! If there’s something you should be working on as a result of the publicist’s meetings, they’ll let you know. Things will ramp up as you get closer to your publication date. Once we have an actual book to send, your publicist will send out review copies to media who requested it as well as media we might not have a personal connection with, but who we think would be interested in the book and might review or feature it. We’ll send wider notice of a book’s publication to media via email as well. There are a lot of places that don’t necessarily need a print copy of a new book, or who would prefer an electronic review copy. Radio and television stations are usually an example here. Review copies will generally go out about a month before your book’s official publication date. But your publicist will follow-up with anyone who received a review copy to 1. make sure the book was received, and 2. give them the elevator pitch. After this, it’s all about managing the requests that start rolling in. The other thing I’m constantly trying to stay aware of is current events and news trends—and I ask all of my authors to be aware too. This is a bit more creative when it comes to food and cookbooks, but I’ll try to give you an example. Say, there’s a big trend toward CSAs popping up at farmer’s markets around Kentucky—there totally is, by the way—I would ask Maggie (jump on it!) to pull together a quick 500-750 words on the trend. Or, maybe it’s a list of the “6 Best Recipes to Make with This Month’s CSA Basket.” Whatever it is, it’s great material that promotes Maggie as an expert on fresh, local, seasonal foods and delicious recipes to make and share. 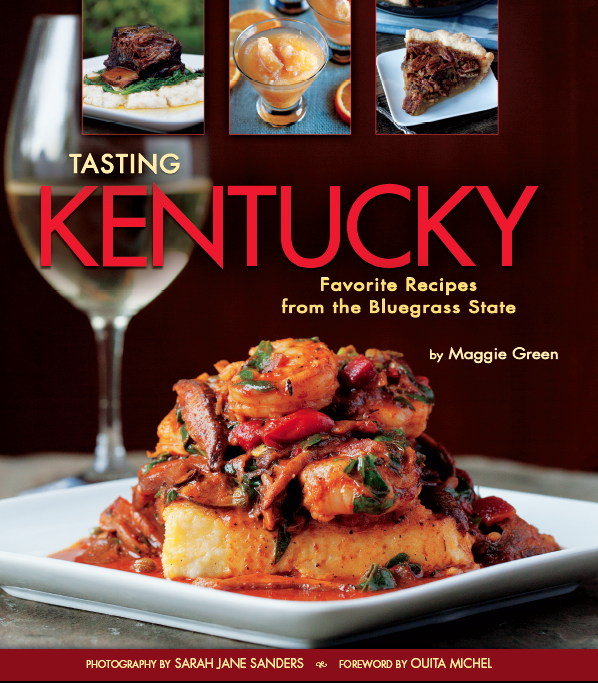 The bonus is, Maggie’s expertise is that she’s the author of The Kentucky Fresh Cookbook and Tasting Kentucky, and hey, they’re both available wherever fine books are sold. Working with your publicist to provide this kind of material and content helps immensely! It’s a pretty big ask to go to a book review editor, send them a book, then expect them to read it, consider it, maybe find an outside reviewer for it, write a story or review, and slot it in for publication. Your publicist will love you for having well-written, timely, relevant content they can send to editors to plug-and-play for their readers. This is also the way your publicist can help the book stay relevant beyond the first blush of newness. For more information, scope out The OpEd Project as a resource. Is there anything unrealistic to expect? I touched on this a bit above, but to reiterate—not every book will be a New York Times bestseller. And, bless her for being an amazing platform for literature and writers, but not every book will make it to Oprah’s Book Club. Would I LOVE it if yours did? Would I shoot fireworks from my office for a month to celebrate if it did? Would I carry around your book with the Oprah’s Book Club Seal and show it off to every person I meet for the rest of my life? Yes! I 100% would! But, realistically, is that likely to happen? Probably not. Dang it. One of the earliest lessons I had to learn in publishing was that an author’s book is quite literally their baby. They worked hard. They sweated. They battled writer’s block, and typing cramps, and self-doubt, and deadlines, and by God, they wrote a book! But the truth is, more than 300,000 books are published in the US each year, and as a publicist, I’m responsible for 100 of them, including yours. And I promise you (I’ve raised my right hand, you just can’t see it,) I will be your partner in promotion and do everything I can to maximize you and your book’s potential audience. I will make pitches, and send review copies, and consult with your editor and advertising, and make sure the social media manager is aware of all your great clips. But I’ve also made this promise to 99 other authors, and I’m keeping them all. Sometimes that means you’re not going to get a daily/weekly/maybe even a monthly update. I might not be in touch every day with a new opportunity or review. You might even, and I apologize in advance for this, have to nudge me about something. Publicity can be a crazy, swirling morass of emails and phone calls for many disparate projects all at once. Something might happen in the middle of my day that incinerates my to-do list, and then the rest of my week shifts to a different track. Here’s what you should expect: A publicist who tells you, up front, the plan for your book. A publicist who invites your input. A publicist who helps you define success for your book. And a publicist who will help you achieve it. For me, this includes setting up phone calls with authors early in the process. The best time for this, I think, is after I’ve made my PR calls. Once your book has been announced and I’ve had an opportunity to talk about it with media, I’ll have a better idea of how media will receive your book, and will be better equipped to work with you on a plan. What are the top 3 things an author can do to support the publisher’s efforts? 1. Fill out your marketing questionnaire. 2. Fill out your marketing questionnaire. 3. FILL OUT YOUR MARKETING QUESTIONNAIRE! No, seriously, please, for the love of all that is good, fill out your marketing questionnaire. I know, it feels so strange and formulaic, and nobody likes filling out paperwork, but this will be the foundation on which we build your marketing and publicity campaign. I cannot begin to count how many times I’ve opened an author’s marketing questionnaire to pull their ideas about the most important review media who should receive a copy of their book, and saw an answer like this: “I’ll leave it up to you. You probably know what’s best.” You’re the expert—you know best! It’s why we’re publishing your book! Phew, sorry, I’ve just taken three deep, cleansing breaths. Please. Just fill out your marketing questionnaire. What are the top 3 things an author can do to self-promote their book? 1. Build your personal platform before you start selling a product. Back to the top on this one—again, it’s about building an audience and crafting your image as an expert. If you want your cookbook to be taken seriously, work to make yourself a serious resource! 2. Do your research. Look for titles that are similar to yours and explore all the ways they built a successful marketing campaign. Who were the reviewers that wrote about the book? Were there any particular radio shows that they were interviewed on? What blogs did they pitch for excerpts or Q&As? Similarly, look further into what your publisher will be doing on behalf of your book. A really great resource is Jane Friedman. 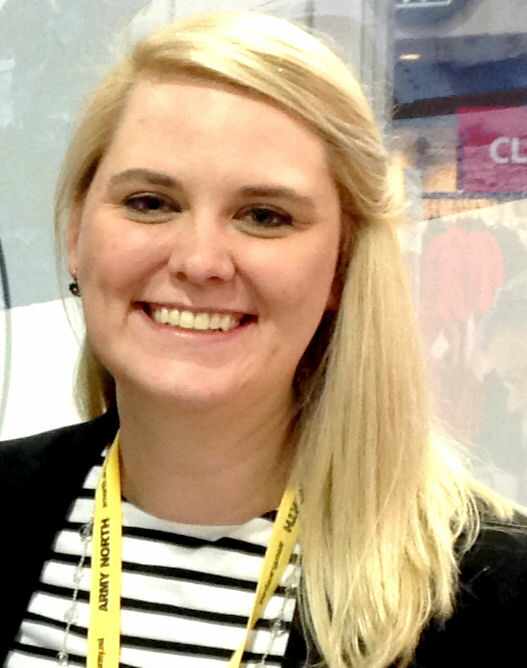 She’s a former publisher with an amazing newsletter and blog for aspiring and published authors. 3. Be ready to share! Your publisher will provide you with a flyer, and if they don’t, just ask. Or, be armed with business cards that mention your book. Or bookmarks you can pass out. Or, whatever! Just be ready to share your book with whomever, wherever. If you’re in a cute gift shop that you think could carry your book, drop a business card. If someone asks what you do, tell them about your book! You’re your best advocate—so talk it up! Any other advice would you give aspiring cookbook authors? I’ll leave you with my advice for anyone who asks me the best way to get a book published: Go to your local bookstore and check out the shelf. Which publisher is publishing the books that most closely resemble yours? Snag the publisher’s name on the copyright page. Is there an acknowledgements section? Did they acknowledge an agent or an editor to whom you can address a query letter? Those are your resources! At the risk of this sounding too self-aggrandizing—trust your publisher. This goes for everyone on your team—and it is your team—from acquisitions to editorial to marketing. We’re in the business of promoting and selling books, and we want to create opportunities to get as much promotion and as many sales as possible for yours. We understand that you’ve been working on your book for a long time, and that you have a vision for it. If we’re looking to change the title or emphasizing something in the marketing copy, there’s probably a good reason for it. Keep an open mind and trust that your publisher wants to make your book the best that it can be.